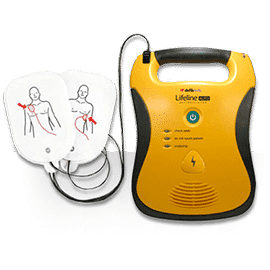 Fun CPR Training offers not only the best AED’s, we’ve searched high and low (even under rocks when needed) to find the absolute best deals you won’t find anywhere. 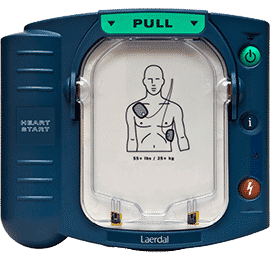 We can provide both the training and the AED, or just the AED’s if that’s all you’re looking for. The chose is yours. We have packages that include cases, cabinets, alarms, signs, extra batteries, or whatever you’d like. We provide free shipping on all orders that include AED’s, and a 30 day money back guarantee if there’s a problem with your order (pretty rare). So here’s what he have to offer, take a look, click for more info, or give us a call. We don’t bite.